If you’re like me, designing maps on paper leads to large swathes of forest disappearing, graphite stocks depleting, and a slow increase in aggrevation as you are forced to redesign large portions because it would be a pain to erase. Fortunately, there are more fun (and productive) ways to get base layouts designed. 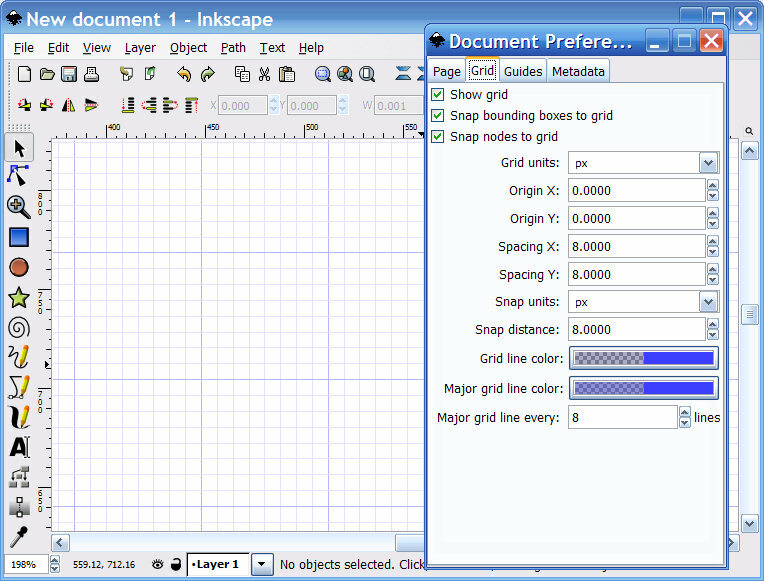 My personal favourite is to use Inkscape to get the mind whirring (hint: use the ‘Document Properties’ dialog to set up a nice Hammer-style grid with snapping enabled). If you’re not used to vector graphics it will take an evening or so to adapt, but it’s well worth it. I find it much quicker than paper, plus you can correct scale as you go along and even use excessive amounts of eye-piercing colour, gradients, patterns, swirly things and all sorts of unnecessary rubbish, whilst saving forests, graphite and sanity. …and maybe, at the end, have a pretty good idea of the map you’re going to make next.